If you're not keeping up with the tapes, you're missing most of the story. A disciple of Robert Christgau and his "consumer guide" approach, I've long been a gleeful advocate of the capsule review, that succinct and oft pithy form of music criticism. While my full-length pieces for this fine publication mostly dive deep into commercial album releases, this new monthly column Tape Adapter exists to cover a select handful of the recent mixtapes cluttering up the Internet. Each column will include a slightly longer spotlight on a particularly notable release. Spotlight inclusion, however, does not guarantee a positive review, though for this inaugural installment it does. Depending on who you ask, Queens, NY native Himanshu 'Heems' Suri's Greedhead imprint is either a prevailing force or a hipster dark horse in the increasingly diverse and fertile underground hip-hop scene. Either way, the former Das Racist emcee clearly picked another winner in Antwon (pictured, top), a San Jose rapper whose flow oddly recalls Biggie at his flirtiest and ODB at his most strikingly lucid. In Dark Denim reprises the shimmering yet raw vibe of last year's critically-lauded End Of Earth. DJ Sexplay, the beatmaker behind that prior tape's R&B crooner 'Diamonds And Pearls', returns with the bright and familiar 'It'll All Make Sense' and a decidedly more gully cut 'Werk 4 Me'. Indeed, In Dark Denim is hardly one-note. 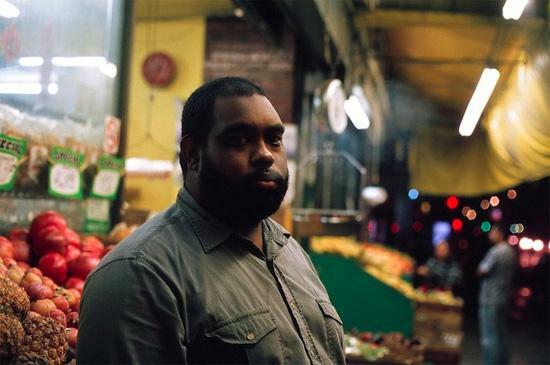 'Burn Away' chills with echo chamber halfstep while 'Boomerang' sounds more like a Jazze Pha track tossed into a meat grinder, Antwon barking static and fire through the latter's electro-tinged noise. On standout cut 'Downtown,' 22-year-old Greenhead alumnus and apparent rap retiree Big Baby Gandhi makes a potentially final appearance on the mic as well as on the beat, itself an urban splatterhouse of girl crazy pop-R&B delirium. Unlike most rappers that can't help but talk themselves up as swag lotharios, Antwon comes off as self-deprecating, though still proud and confidently cool. The most single-worthy track, '3rd World Grrl' takes his street romantic sensibility to the fore, with evocatively sincere lyrics - a warped cornucopia of busted cellphones, compact cars, and Taco Bell appetites - that alternate as likely music video storyboards. Too much has been made of Astro's age, thanks in no small part to the fresh-faced Brownsville teen's come-up via the American version of The X-Factor. His flow, however, feels as dated as Wu Wear jean shorts, with obvious influences ranging from Jay-Z to Skoob of Das EFX. Preoccupied with a past that mostly precedes his very birth, the throwback rapper adequately adapts to his surroundings, be that on the 90s West Coast vibin' 'The Bomb' to the New Jack Swing Frankenstein revival 'Don't Be Afraid.' Never mistake a capacity to imitate for raw talent, though. Like the countless branded mediagenic kid spitters that came before, a stigmatising gimmickry looms over this otherwise quotidian tape. Chicago's drill scene has yet to produce a crossover banger anywhere as dominating as Chief Keef's 'I Don't Like' or 'Love Sosa'. Formerly of Sosa's crew, Sasha Go Hard comes a hell of a lot closer with Round 3 than most of her peers like Lil' Durk or Lil' Reese. Her third mixtape fluidly reconciles those GBE roots with some clearly bigger aspirations. Street struggle earworms like 'Bringing Heat' and 'I Get' gel remarkably well with tracks that feature the blog-friendly likes of Kreayshawn and an underutilised Le1f. The Diplo-produced 'Damn' is pure unadulterated turn-up, with big room buildups backing her forgivably smug boasts. Her sly singsong style seems bound to produce some real anthems soon. Kudos to Soulja Boy - the ringtone generation's most resilient flash in the pan - for still circling the drain, clutching at any fetid speck that might prolong his allotted fifteen minutes. Despite Jay-Z's best efforts, the death of Auto-Tune has been greatly exaggerated, though insufferable cuts like 'I Can't Help' call for a renewed offensive. Beyond the gargling robotics, he has in no discernable way improved as a rapper, arguably regressing into a third-rate Gucci Mane. Even when he correctly pronounces 'Givenchy' on the song of the same name it sounds like he's butchering it. Nobody needs 24 (twenty-four!) more tracks of his baseless swagger blather in 2013. A longtime Rick Ross cohort and member of his dormant Triple C's project, Torch - with Custom Cars & Cycles glistening in the cutout bin - might be feeling rightfully fidgety, given his Maybach Music Group boss' crowded stable. The latest of his half-dozen solo tapes, Tax Season sorely lacks the caliber of originals that would warrant reconsideration. 'Drive By' presents an reunion with crewmates Gunplay and Young Breed, while 'Colombia' finds him solo, reciting Scarface quotes off IMDB, neither of which aid his efforts. Adequate R&B crossovers ('Never Slip', 'Champagne Wishes') neither offend nor impress. Elsewhere, Torch jumps unmemorably on safe, recognisable beats like 'Karate Chop' and 'Started From The Bottom'.